A few days ago, we gave you a sampling of the matches and promos that are slated to appear on the new Ultimate Warrior retrospective, titled Ultimate Warrior: Always Believe. The main program will be a documentary featuring Warrior, his wife, Dana, and daughters Indiana and Mattigan. Other personalities include the McMahon Family, current WWE superstars and WWE legends. The documentary will include footage not seen on the WWE Network. 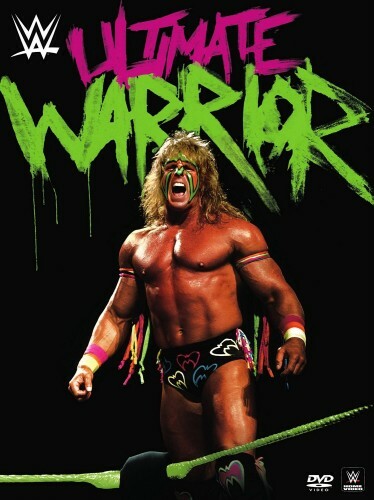 Ultimate Warrior: Always Believe will arrive to DVD and Blu-ray, as three- and two-disc sets, this April. The compilation will include more than 20 bonus matches and 50 promos! The complete rundown of matches and promos comes courtesy of Wrestling DVD News. I Said Sew It In! A collection of personal stories from: Warrior, Dana Warrior and Indiana & Mattigan Warrior. Specifics of these extras are still to be confirmed.